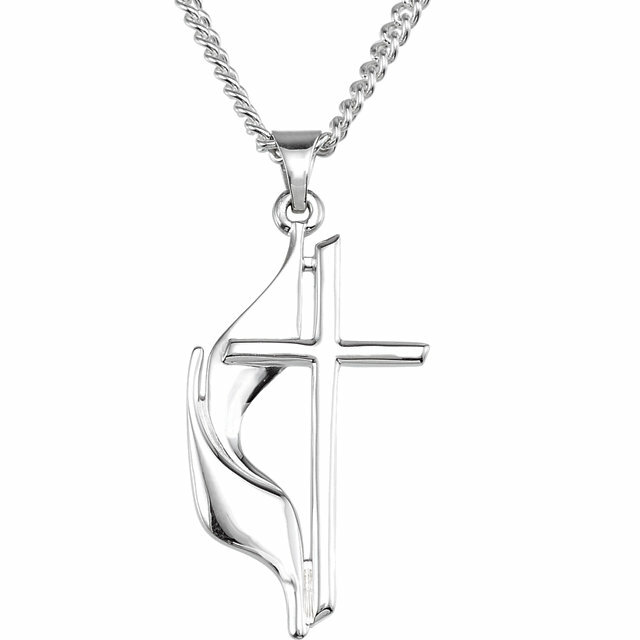 A beautiful item for any Christian, and a great gift for the Methodist friend or loved one. 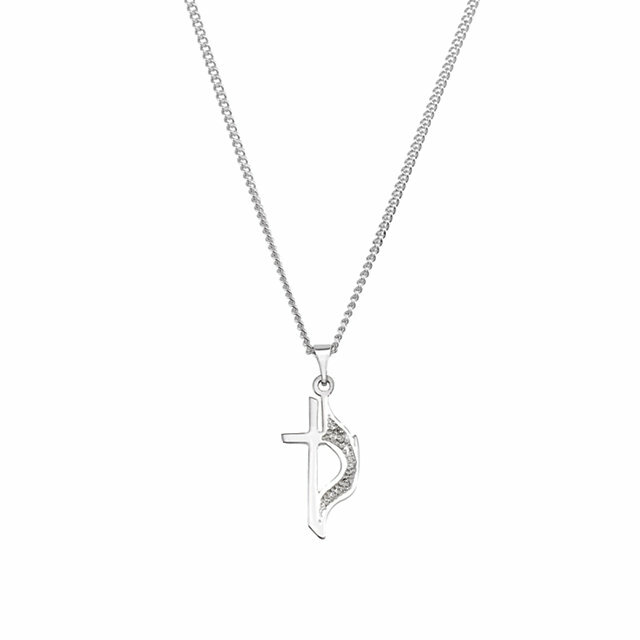 This distinctive design incorporating the flame of the Holy Spirit and the cross of Christ. 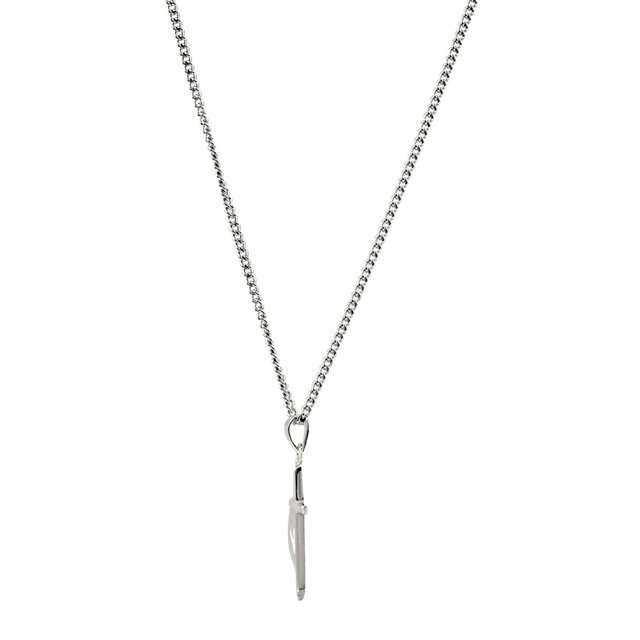 Included with a sterling silver 1.6mm Solid Curb Link 18in Chain.